You take aim at something and you get there. I look at challenges as opportunity and always have! It is all about perception and you can choose to have a positive outlook and decide to learn from those challenges. They help you grow! I had the pleasure of interviewing Klaus Obermeyer. 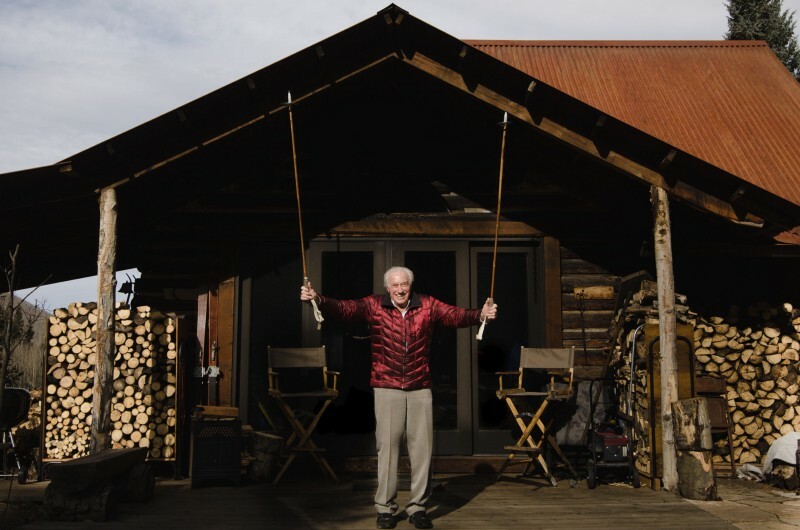 Fueled by his boundless passion for the outdoors, Bavarian-born Klaus Obermeyer founded renowned ski apparel brand Obermeyer in 1947 out of Aspen, Colorado. 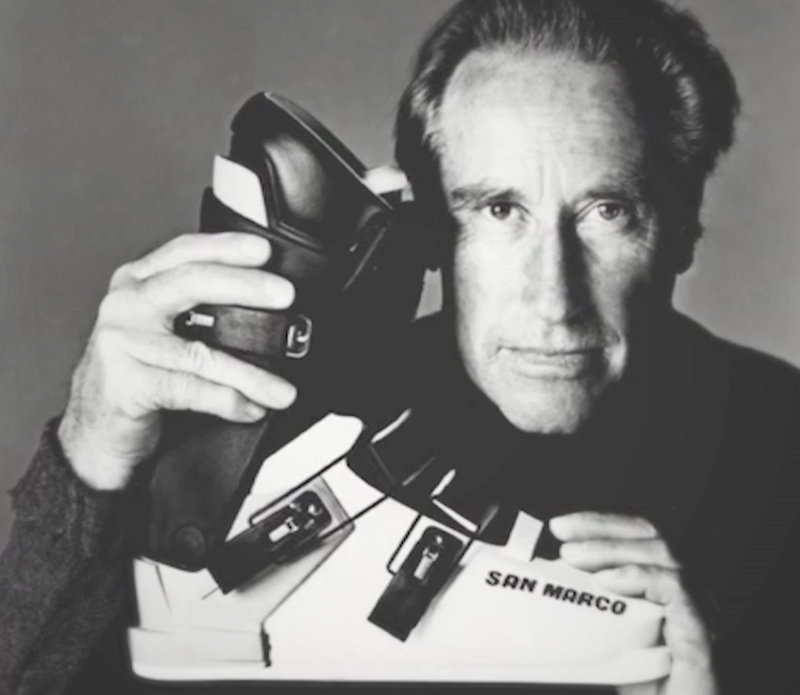 Klaus, (an Icon Revealed on Outside TV) in his true entrepreneurial spirit, designed technical ski clothing and hardgoods when few people were skiing. Aside from his industry accomplishments, Klaus is known for his contagious enthusiasm, endless energy and positive attitude (as well as his iconic yodels). His employees and industry insiders often use the phrase “Be Like Klaus” which comes as no surprise if you’ve ever had the opportunity to meet him. Were there specific events that drew you to this specific career path? As a natural technician, I was always playing around with ways to improve gear for skiing and rock climbing. 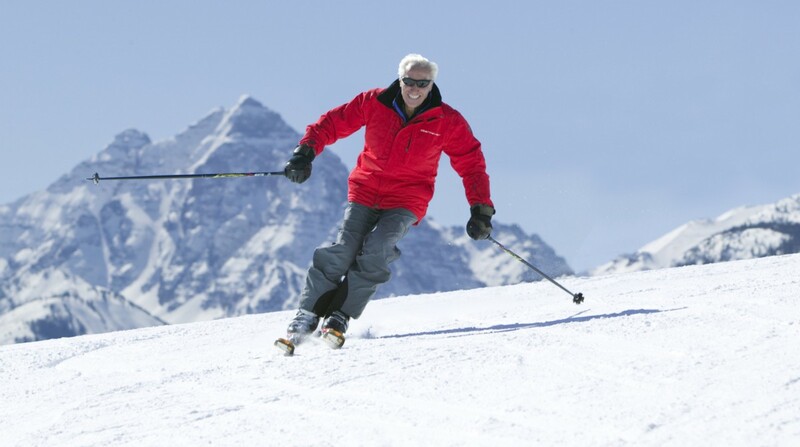 But it all really started in Munich, when I made the first Dura aluminum ski poles. I was supposed to be an aeronautical engineer, but when I got to New York in 1947, World War II was over and airplane factories didn’t have much work. I called Friedl Pfeifer, whom I knew from St. Anton, (he was by then in Sun Valley) to see whether he needed a ski instructor. He said absolutely. Pretty soon, I ended up in Aspen. Story of Grit and Success? Hard times when you first started your journey? Legally I could only take $10 US out of Germany in 1947. So I arrived in New York with $7.50 after the necessary haircut on the boat. Money was a challenge. Fortunately, I got a job at Paragon Paint and Varnish Company in Long Island for $28 per week and my little room on Riverside Drive was $10 per week. The son of Paragon Paint’s owner wanted me to take over the factory, but I didn’t know anything about paint … The real reason was he wanted a personal ski instructor. 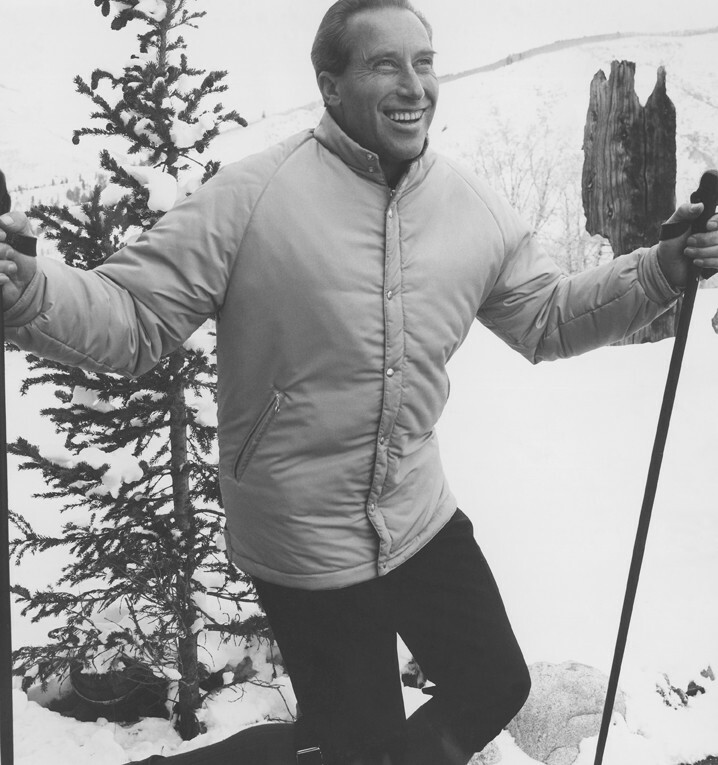 When I arrived in Aspen, via Sun Valley, Friedl owned Aspen Ski Corp. He and I developed Sportana, sun tan lotion that really worked. It was a wonderful position: ski instructing during day, playing chess with Walter Paepcke in the evenings. Then I developed the first two-prong ski stopper, which the whole world has now. Then the first ski double boot, made in Germany. Then I developed an American boot last for American feet. Finally, I was making money. $10 on every pair of boots I sold! How did Grit lead to your eventual success? How did Grit turn things around? When you manufacture or buy things and you sell them, naturally you make a reasonable profit. You don’t gouge. You do whatever it takes. I brought the first turtleneck to America, which Medico made in Germany out of Egyptian cotton. It was the best you could get. Things are going very well. We have a great reputation in the industry and continue to make fabulous stuff. Twenty years ago, we decided to drop hardgoods and make technical clothing and that has been our focus ever since. 5 Pieces of Advice about how one can develop Grit? – Commit to making high quality and high-performance equipment and clothing for spending the winter in the outdoors. – Do whatever it takes to make things work better — and find the factory that can do it and teach others how to do it. – One of the biggest advantages of my technical/engineering background was that I was able to show factories how to make exactly what I wanted. – Take challenges head on and learn from them. Particular person who you are grateful towards who helped when things were tough? Many people helped me in the early years. The banker in Denver who gave me money to start out. Baron Francois de Gunzburg from Paris, who countersigned my first loan. Luckily, I met some exceptional, talented and successful people when teaching skiing, Gary Cooper being one of them. Firstly, we share profit in the company with our employees. And we’re focused on sustainability. We have a building that is sixty percent solar heated, a change we made 25–30 years ago. We also built a 50-foot solar lap pool for our employees. And we always try to make the outdoor experience available, giving our staff four hours of skiing if we get a powder day (six inches or more). My goal is always to make the outdoors more accessible to individuals and their families. Working on any exciting new projects now? We always want to be on the cutting edge with our product. We’re working on new things every day! What advice would you give to other executives to help their employees thrive? Dance through life, be fair to everybody — and have fun! If you could inspire a movement that would bring most amount of good to most amount of people, what would that be? I think that the martial art of Aikido has influenced me a lot. You don’t hurt your opponent, but you control them. A life lesson is really your choice of perception, which can be positive or negative. It’s everyone’s choice where they want to be.